In clinic ultrasounding is available at our clinic. Our qualified staff are skilled and trained in all forms of ultrasound. Pregnancies in dogs can be detected as early as 21 days from the last breeding. Abdominal ultrasounds are used to aid in medical evaluation of illness. 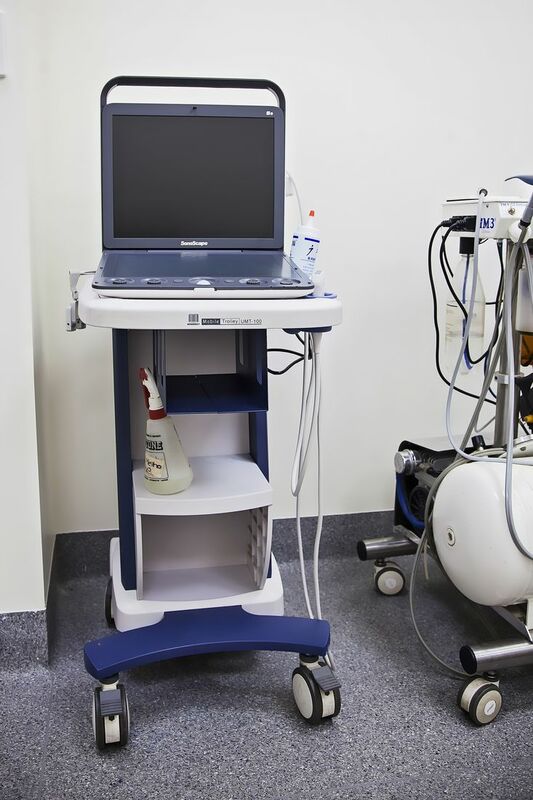 Ultrasound is used to diagnose a range of illnesses with symptoms such as weight loss, vomiting or diarrhoea. Thoracic and cardiac ultrasound is also performed to evaluate your pets heart and lung function. Ultrasound can even be used to evaluate conditions of the eyes and musculo-skeletal systems. 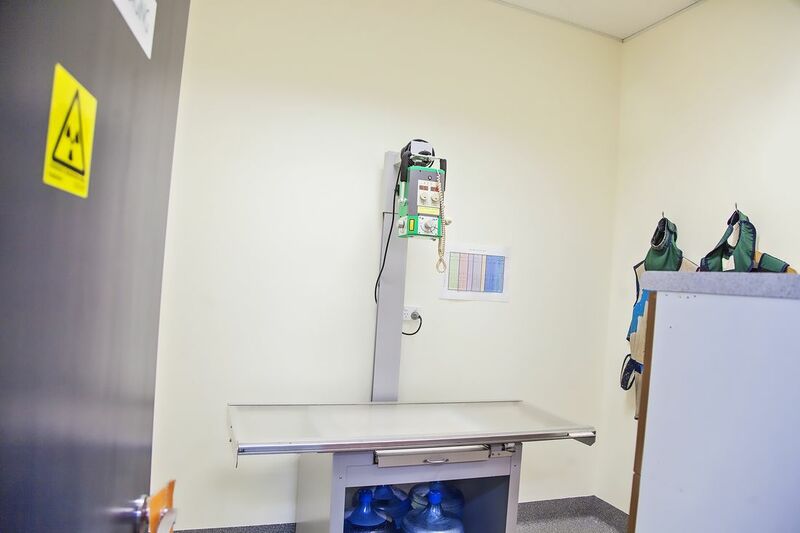 With our extensive in-house equipment, numerous tests can be performed in our hospital within 15-30 minutes, allowing our Doctors to be able to make immediate decisions for your pets care. Blood chemistry, CBC (Complete Blood Count), General Health profile, Seniors wellness testing, Pre-anaesthetic profile, heartworm test, Feline Leukemia/Feline AIDS testing, cytology, and urinalysis. 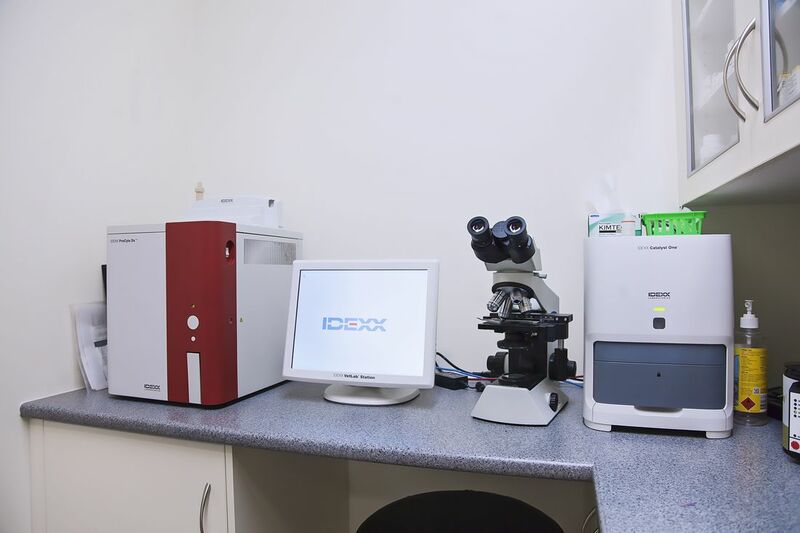 Our reference laboratory has daily pick up allowing quick turn over for more advance tests, including biopsies and other blood tests. 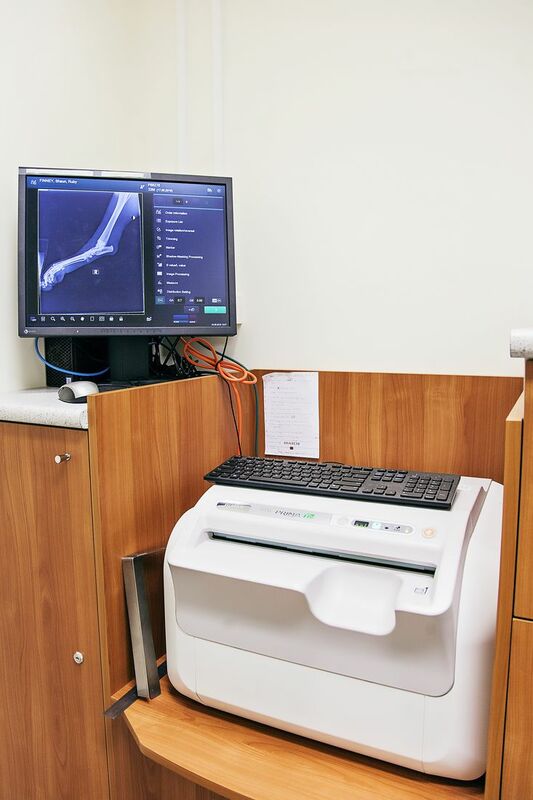 Radiographs allow our veterinarians to evaluate musculo-skeletal problems such as fractures, dislocations and arthritic changes to bones and joints. They also allow us to evaluate heart and lung diseases, along with abdominal abnormalities such as intestinal obstructions, urinary stones, and abnormal organs. Our Digital Radiology System allows us to view several images and produces excellent quality images right in our hospital. This system allows our Doctors to make the best and most informed decisions for your pets care with minimum radiograph exposure and a decreased waiting time for procedures. The digital pictures can be viewed on our computers and discussed with you. In house ECG and interpretation allows us to evaluate any abnormalities in your pet's heart conduction (impulse that causes your heart to beat). Many dogs have heart arrhythmias or abnormalities that need to be evaluated in order to determine if medical or surgical intervention is required.